Throughout music’s history, there have been many a child that has followed their parent’s footsteps and dreams into the music industry. Off the top of my head, I think of Hank Williams and Hank Jr, Arlo and Woodie Guthrie, Alan and Robin Thicke, Johnny and Rosanne Cash, Bob Marley and his sons Ziggy and Damian, just to name a few. Today’s post is about Willie Nelson and his son Lukas Nelson. 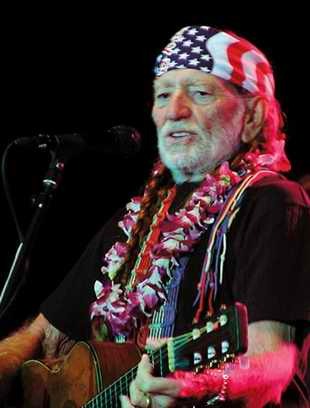 Willie was raised by his grandparents, as his parents had split up right after he was born in 1933. He was named by his cousin, Mildred. When he was six years old, his grandpa bought him a guitar. Willie and his older sister Bobbie started singing gospel songs at the local church. When he was only seven years old, he wrote his first song. He was nine when he joined his first band. When he was 22, he recorded his first two recordings, "The Storm Has Just Begun" and "When I've Sung My Last Hillbilly Song". He was one of the main figures of outlaw country, a subgenre of country music that developed in the late 1960s as a reaction to the conservative restrictions of the Nashville sound. 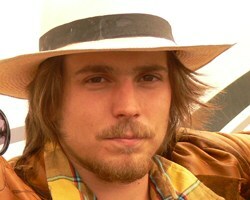 Lukas was born Dec 25, 1988. Lukas moved from Hawaii to Los Angeles in 2007 to attend Loyola Marymount University. In early 2008, Lucas met drummer Anthony LoGerfo at a Neil Young concert. Shortly after, the two began playing music together in Seal Beach, California. In October 2008 Lukas dropped out of college to pursue his music career full-time. Lukas called Anthony Logerfo (drummer), Tato Melgar (percussionist), Merlyn Kelly (bassist), and formed Promise of the Real. The band released its first full-length record, “Promise of the Real,” in December 2010. Close your eyes and listen to how similar they sound. 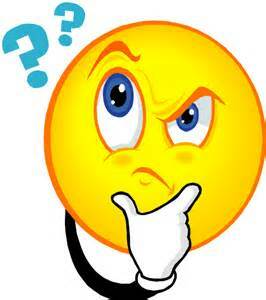 I have a couple of questions for you, my readers... please indulge me with your honest opinions. Do you prefer the individual videos or do you prefer to see the playlist (or perhaps both) on the posts? I’m toying with the idea of doing a Like Father, Like Son series. Would you be interested in seeing something like this here on the blog? If so, tell me who you would most like to read about or hear the comparisons of their music. I am also open to Father/Daughter and Mother/Son and Mother/Daughter suggestions as well. I like the video postings, though I don't always take time to play them depending on what writing I need to get done. ~grin~ So the lists are welcome, too. I'm happy to hear when great talents pass it along. Stories about such families are always fun to read and an inclusion of sibling stories in such a series would be neat as well. Happy Blogging! Thanks, Darla! I completely understand that 'not having time' thing. I think that's why I like playlists as well, they can play in the background as I do my other work. Appreciate you taking the time to chime in with your opinion. Thanks, Cathy! I'm looking forward to checking out your series. The topic just struck me as something fascinating. Thanks for the input! Do the series!! I would love to see that. This one totally caught my attention because I was like wait Willie Nelson has a son? And he sings too? Very cool. I will sometimes just watch 1 video that I am into and I think that's okay too. I am sure different ones appeal to different readers, right? Thank you, Paula! 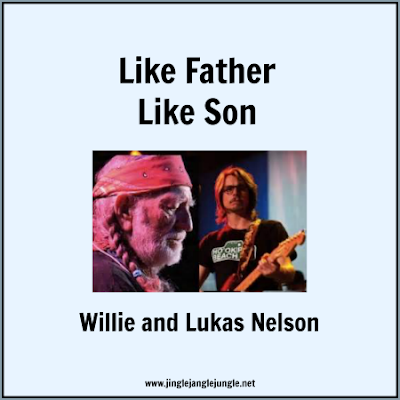 It turns out Willie Nelson has more than one child that is a musician, but Lukas is the one that is more in the spotlight so to speak. I appreciate your input on the series idea and on the individual videos vs a full playlist. Well, the boy has the bluesy, Texas honky-tonk guitar down pat. Not bad. I am not a big Willie Nelson fan, but the few songs of his I like, I do really like. I think the idea of parents and their offspring would be fun. Personally, I like the individual videos. I don't watch many videos due to the data they require. Separate videos lets me sample and listen to just as much as I want to. Moderation in all things is not necessarily a bad thing :) Thanks for the input on the videos. I like the videos, and a father son series would be so interesting. I had no idea Willie Nelson had a son who sang! I appreciate the input on the videos and potential series. I just couldn't get over how much Willie and his son sound alike. 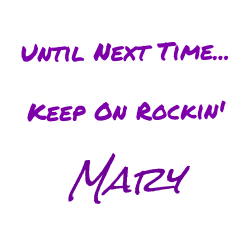 I am leaning in this direction, so it may just be a go! I like learning about this topic as well. I look forward to dancing with you again on Monday! I didn't know anything about Lukas. The apple doesn't fall far from the tree, it's certainly in the blood. To answer your question I like the videos. Thanks, Jacqueline! I was certainly taken by surprise by his voice. I think you are right, sometimes genetics play a big role. Thanks for the input about the videos. Yes, I agree. I can take most musicians in small doses, even death metal.